Kpop Squad Media | All about K-Pop and intermezzo: Review and Registration Fans GOT7 CAFE Will Open in Tokyo, Osaka and Nagoya, Japan! Review and Registration Fans GOT7 CAFE Will Open in Tokyo, Osaka and Nagoya, Japan! 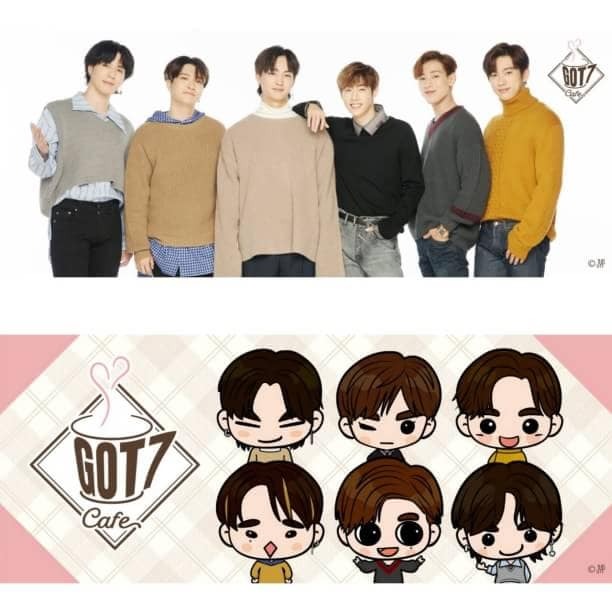 Multinationoal Collaboration on "GOT7" Boygrup Cafe will open in Tokyo, Osaka and Nagoya. 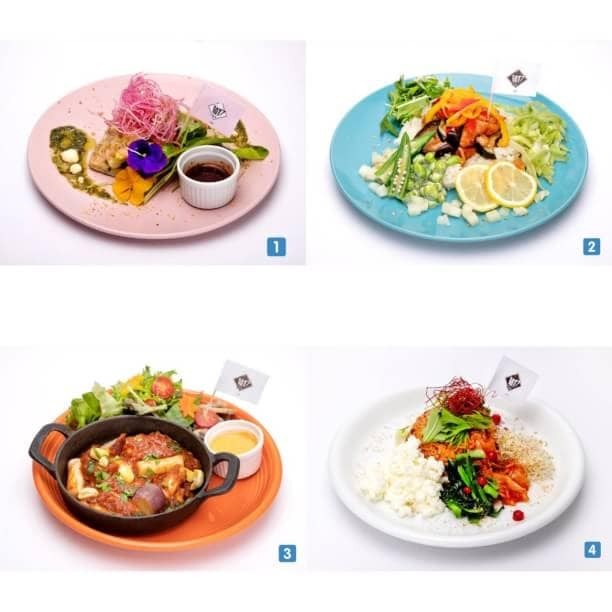 GOT7 CAFE collaborates with members from various countries in Korea, Thailand and America, namely 'GOT7' multinational in Tokyo, Osaka, Nagoya. 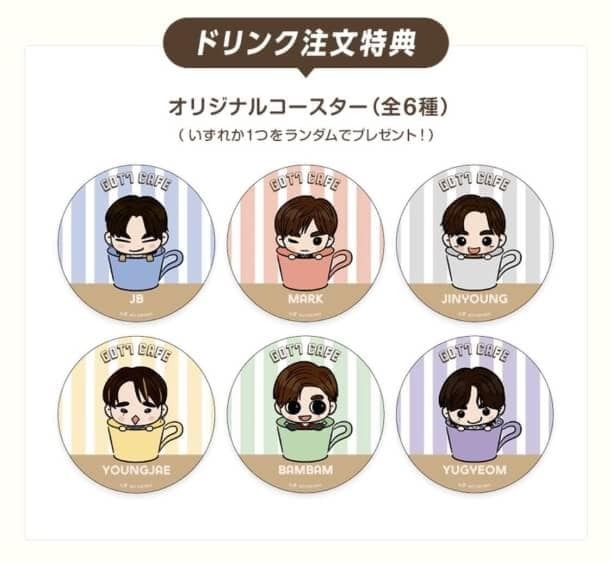 This cafe represents the concept of GOT7 concert this time namely "Spring, Summer, Autumn, and Winter". This dessert from GOT7 Cafe developed 6 types of parfait based on the colors of each GOT7 member. 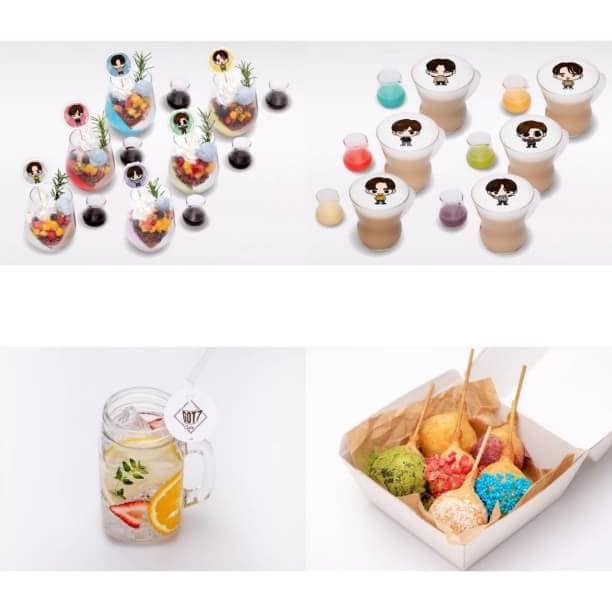 In the selection of parfait, they are the characters "GOTOON" and the making of parfait is also based on the selection of "GOTOON". 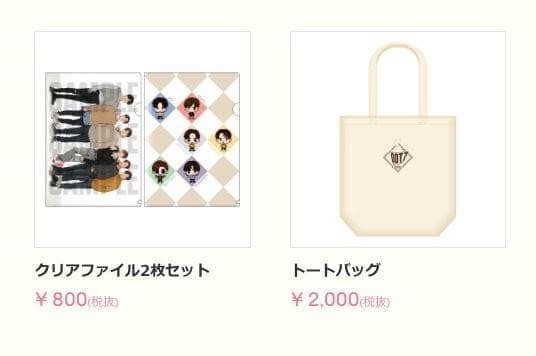 The items sold at the cafe and also the photos at the cafe are official items and photos. In the cafe there are GOTTON and GOTOON which are adjusted to the costumes from GOT7. Besides that, MV GOT7 will also be played in the cafe and fans can also enjoy everything about GOT7 in the cafe. 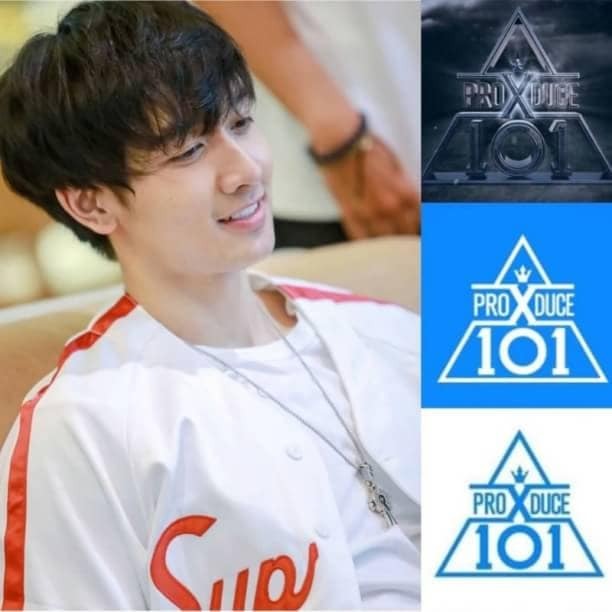 However, fans who want to enter the cafe fans are expected to register first. 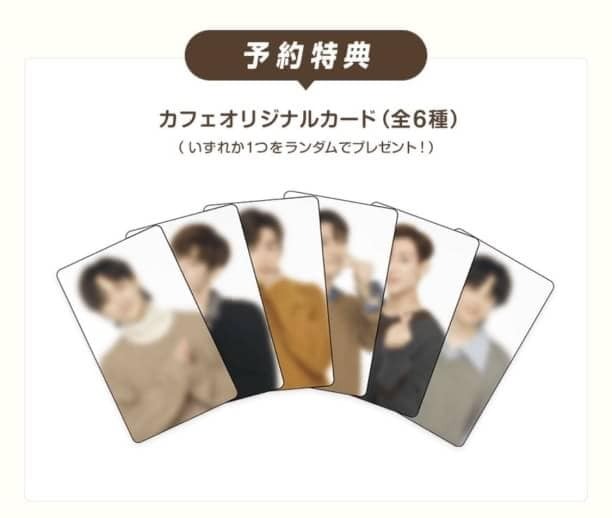 For fans who register and come to the cafe, fans will receive an official cafe card (1 randomly from all 6 types). Registration is open on 18.00 Japanese time. For registration in the Tokyo area registration is open in January, 2019 - March, 10 2019. 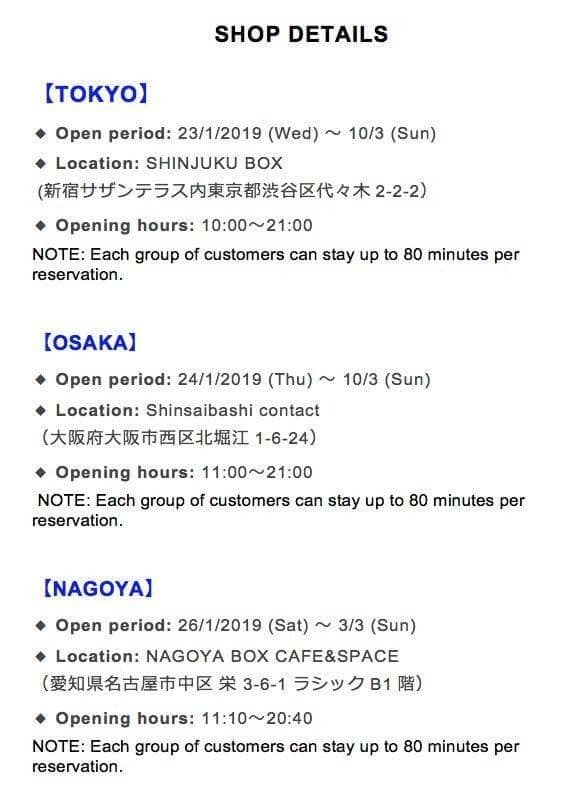 Oosaka registration is open in January, 24 2019 - March, 10 2019 and Nagoya registration is open in January, 26 2019 - March, 03 2019.